Are you celebrating a birthday, engagement, or promotion? Or maybe you’re looking to host a corporate team building retreat. 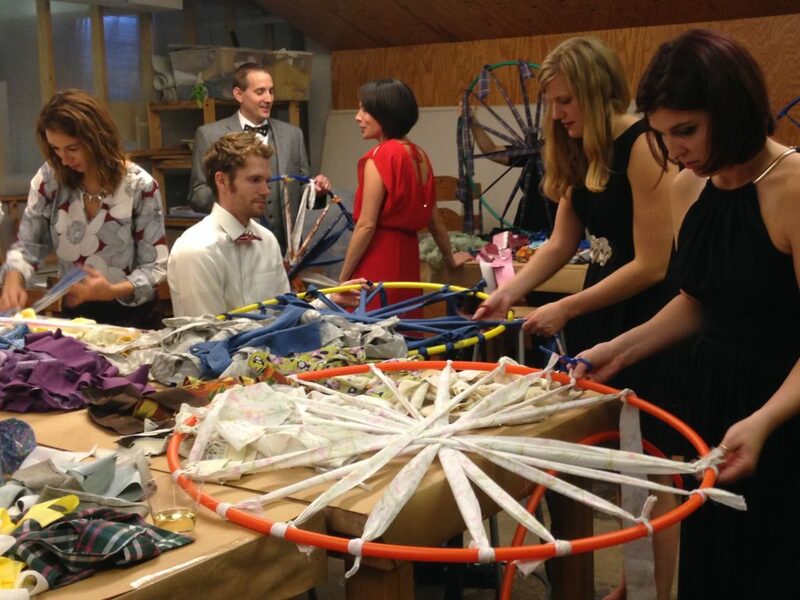 The Studio is an excellent place to add a creative element to your event. 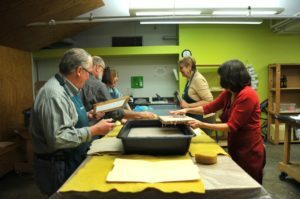 These workshops are customized to meet the needs of each request, working with a local artist or group of artists, depending on the size of your group. If a visit to Contemporary Craft is prohibitive, ask us about programs that we can bring to you! Pulp Painting and Collage: Use recycled fibers and plant materials to create a collaborative wall hanging. Learn the process of paper making while tapping into your creativity as a team. Stamped Messages: Make your own personal message on a metal wallet insert, keychain, or pendant. Learn basic metal skills and stamping techniques to make the piece personal! Turned Pens or Bottle Stoppers: Learn the basics of wood turning and make one-of-a-kind, handcrafted wine bottle stopper and pen on a lathe. 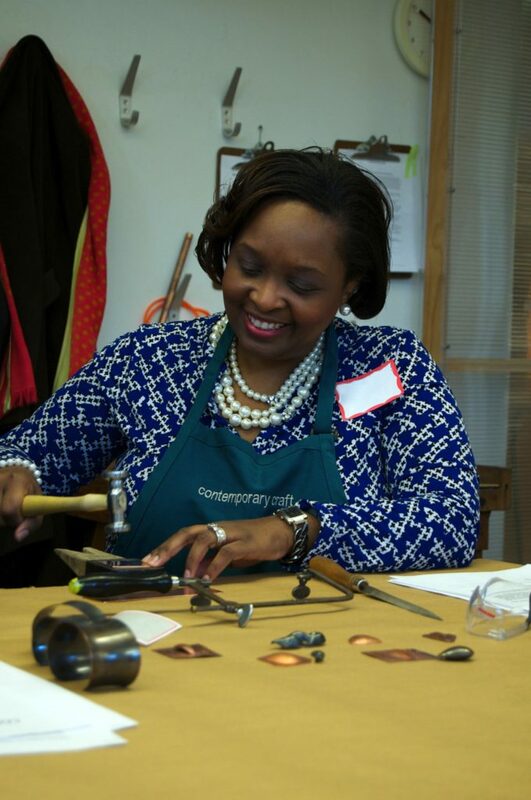 Adjustable Rings: A simple introduction to metalworking, this hands-on activity yields a wearable piece of jewelry for every participant. Fun with Clay: Start small with a pendant or magnet, or choose a larger form like mugs or plates while getting a taste of the endless possibilities with clay. Pricing Options: Programs typically run for 2 – 3 hours and range in pricing from $20 to $35 per person. Capacity will vary depending on workshop choice. We offer a variety of corporate team building opportunities. Please contact us to further discuss the size of your group, the time frame of your event, and any specifics you would like to include. Pricing Options: Vary per event. Interested? Please contact us to discuss ideas about your needs and current rates at thestudio@contemporarycraft.org. Looking for some one on one time with an artist, to hone in on a technique? Private lessons may be arranged in any medium that is listed in the Studio catalog.